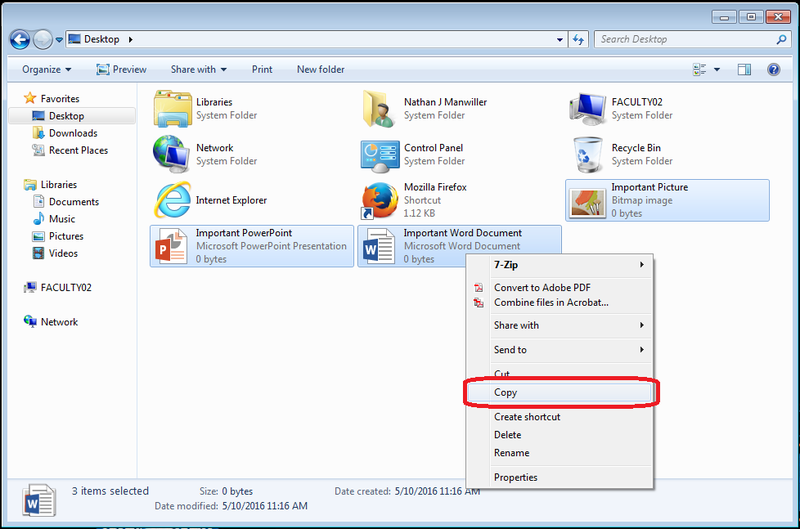 This document outlines the common places where data can be stored and shows how to save data to a USB storage device or flash drive. 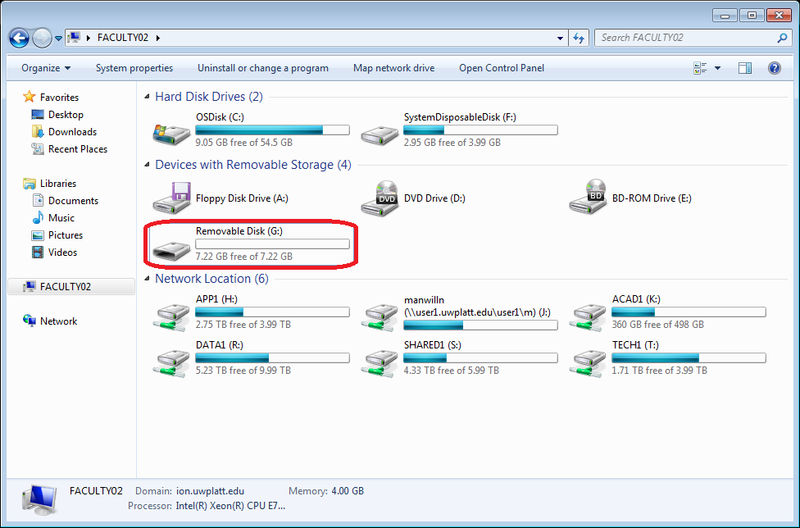 Saving to a network drive is identical; simply locate the network drive and folder where the data should be stored instead of the flash drive. Plug in the USB storage device to be used, or locate the network drive (i.e. J Drive or S Drive) where you would like the files saved. Identify the files to be backed up. Common places for data files include the Desktop, Documents, Pictures, Music, and Videos folders. Once identified, select the files to save. You can select multiple files by holding down the shift key (all files) or control key (selective). 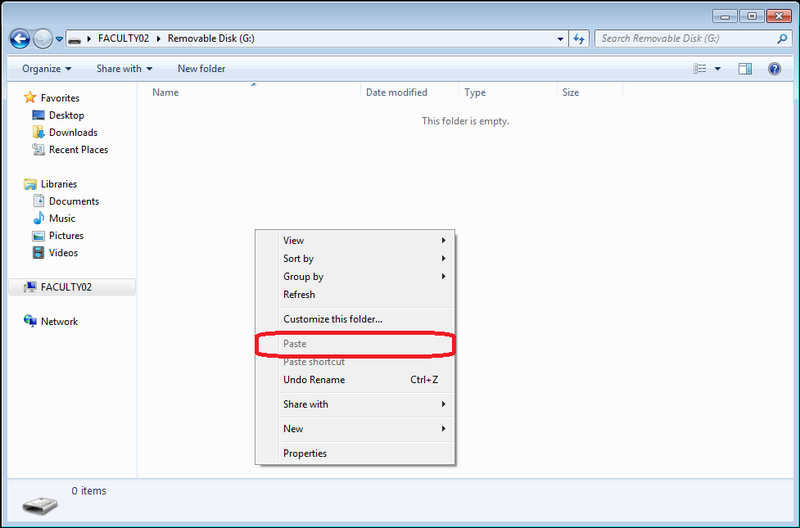 Once the files are selected, right-click on one of the selected files and choose "Copy". Open the storage device where the files will be saved. Right-click in the open area of the window and choose "Paste".